Your natural start point should be the Old Town, and its main square, the glorious Stary Rynek. Taking centre stage is the Old Town Hall, once renowned as the most beautiful building north of the Alps. Today it is home to the Historical Museum of Poznań as well as a pair of mechanical goats who emerge at noon to the delight of the sightseers gathered below. Of course there’s more to the Rynek than just the Town Hall, and visitors with plenty of time will enjoy investigating the other museums that line the perimeter of the square, including the charming Musical Instruments Museum (Stary Rynek 45-47), the brutal Wielkopolska Military Museum (Stary Rynek 9), and the Wielkopolska Uprising Museum (Stary Rynek 3) - chronicling the 1918 Uprising which culminated in Poznań switching from German to Polish hands. If you’re in the area for longer, you might also consider the comfortable day trip out to Gniezno - Poland’s first capital. No matter how long your stay, you’ll find plenty in Poznań to keep your interest. 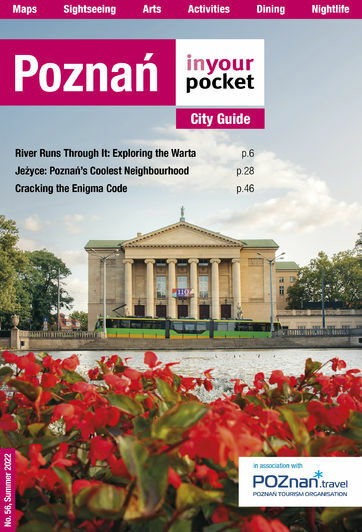 Use our Sightseeing section to explore it all and enjoy one of Poland’s most ancient and exciting cities.